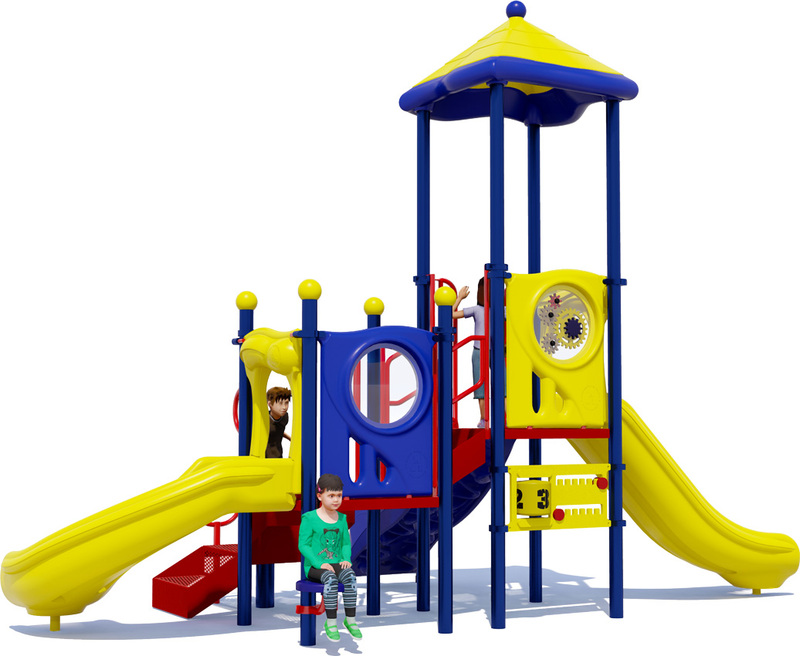 Ahoy matey, and welcome to Captains Cove, a fun commercial playground structure designed for up to 25 children aged 2-5 years. 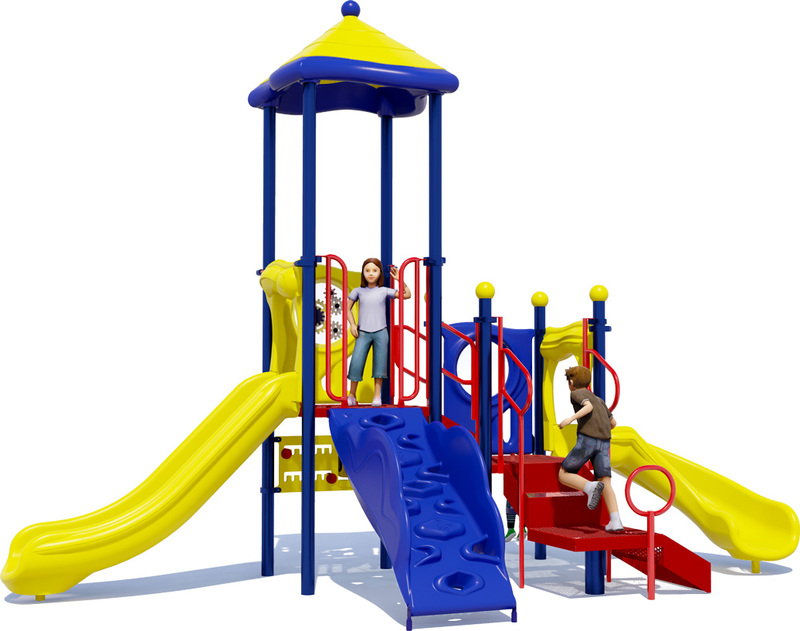 With a number of climb and slide opportunities, this playground helps tots enjoy the amenities usually found on structures for big kids, scaled down and modified for the safety of young children. 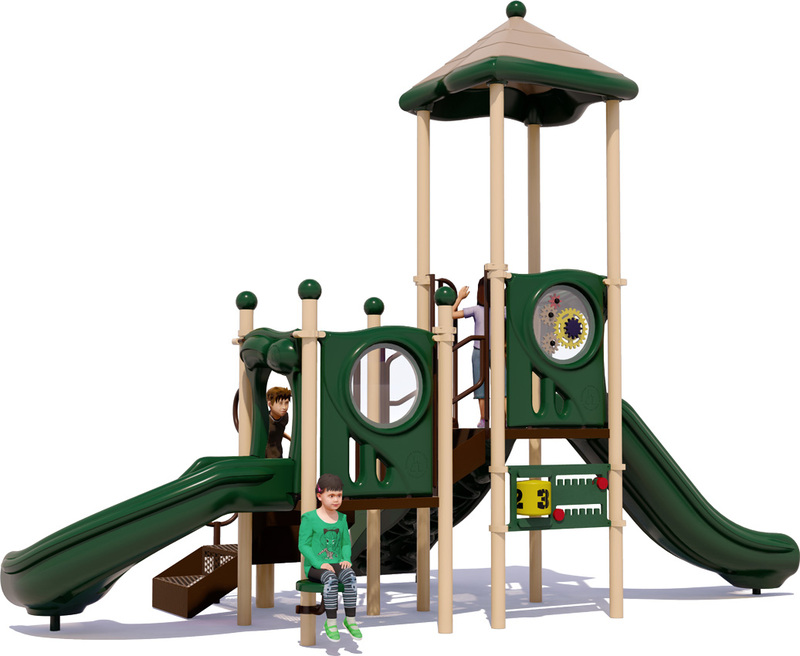 There are seven unique activities for children to explore on Captains Cove. 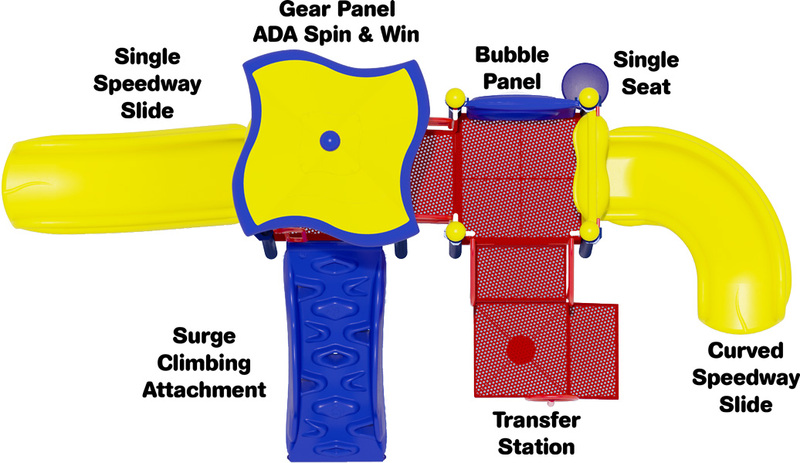 The Surge Climbing Attachment is a perennial favorite for children of all ages and provides a simulated rock wall climbing experience, with hand and foot holds designed for children. 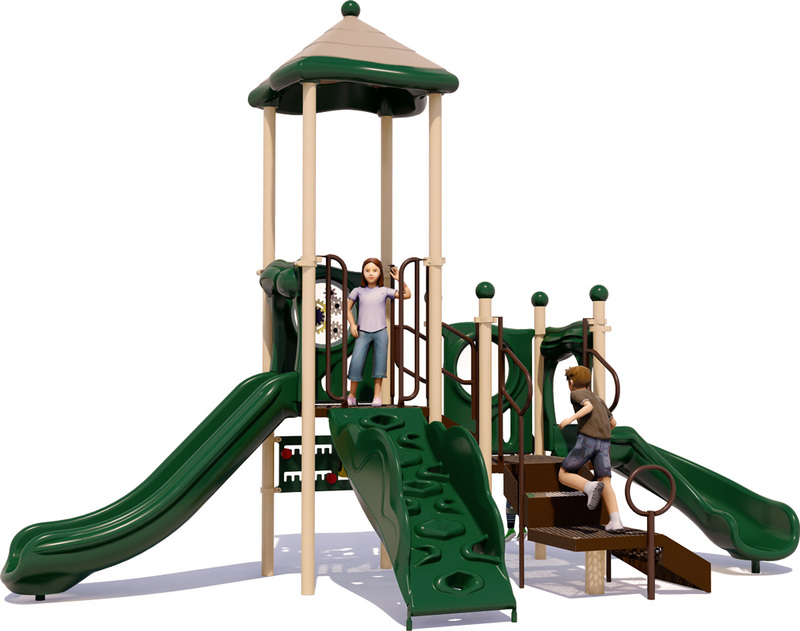 The Single Speedway Slide offers a fast and safe trip to the bottom, and the Curved Single Speedway Slide provides an extra bit of exhilarating fun. 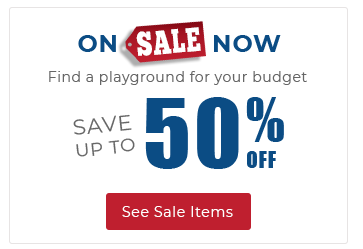 2 Slides, 3 Panels, 1 Climber, And More!